Just a quick note to let you know we have recived a new shipment of food and now have Mustard Herring and Lingonberry Jam back in stock. Abbas Fine Grained Caviar - Black, in the larger 80g jar. We have plenty of jul(påsk)must left and decided to put in on SALE. Please note the Jul(Påsk)must have a BBF date of 27 Feb 2012, but we have stored them cold and dark and tested some and the taste is perfect! When asking the producers about the short date they confirm it is fine to drink after the BBF date, it’s just that they will not guarantee the flavour for longer than 6 months after production. 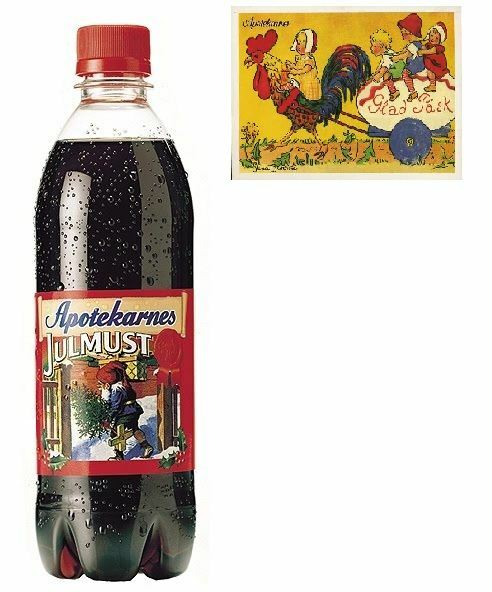 We did some research and it has become popular in Sweden to store your julmust for a year and serve it as vintage julmust! Only 2 more weeks until Easter. Have you got everything you need for your Easter Dinner table? Please note we will need to have your orders by Tuesday the 3rd April to make sure they reach you in time for Easter. If you live in a Rural location we recommend you get your order in ASAP as it can take up to 2days extra for Rural delivery! Happy Easter! Glad Påsk! Gleðilega páska ! God påske! Hyvää Pääsiäistä!